The Monster High™ ghouls have the creepiest cool pets! 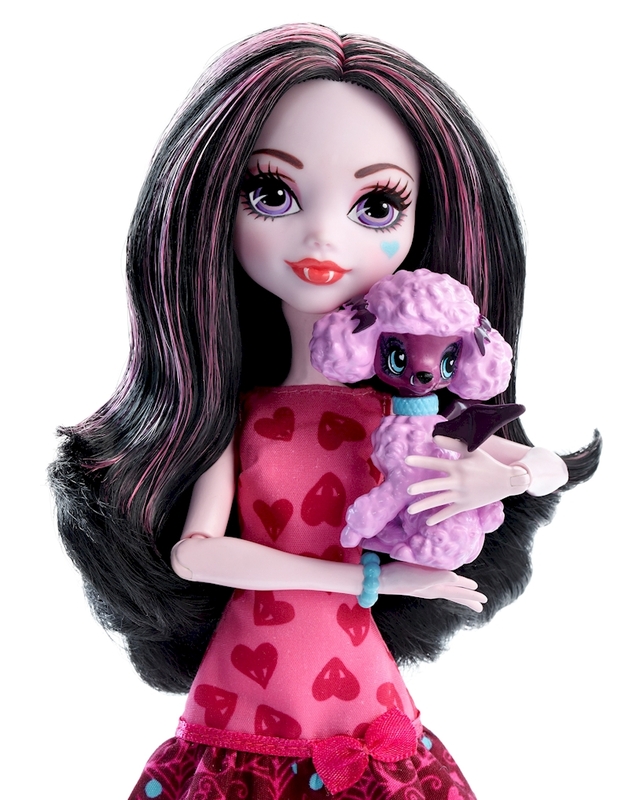 Celebrate these adorable beast friends with Draculaura™ doll and her adorable puppy. She wears a gore-geous dress with graphic print in her signature colors and legacy-inspired accessories and has a pet carrier to scare up even more pet play. Daughter of Dracula, Draculaura™ doll is boo-tiful wearing a dress with a print in shades of pink with a heart print, ruffle hem and bow accent. To-die-for accessories include a blue bangle and blue bow-adorned heels, plus a pink pet carrier is perfect for her pooch when she has to fly. Her pet is just as monsterrific. 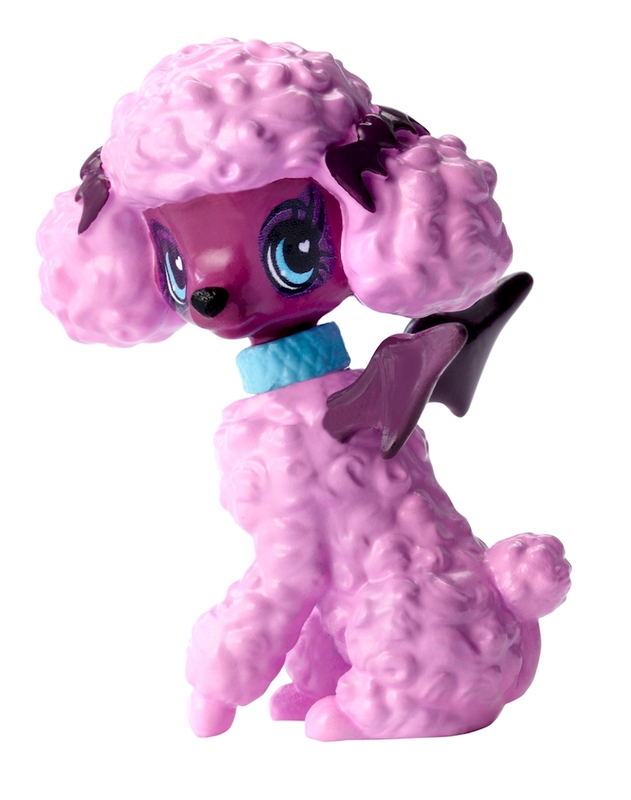 Draculaura™ doll’s purple poodle looks fangtastic with pink hair and a blue collar. Whether it’s feeding time or play time, the Monster High™ ghouls know how to live it up with their beast friends! Collect them all for a full monster menagerie (each sold separately, subject to availability). Includes Draculaura™ doll wearing fashions and accessories, pet dog wearing accessory and a pet carrier. Doll cannot stand alone. Colors and decorations may vary.